Dr. Grenzer obtained his undergraduate training at Duke University in Durham, North Carolina graduating in 1962. He received his medical education from the University of Maryland Medical School in Baltimore, graduating in 1966. He did an internship and a year of medical residency at Mercy Hospital in Baltimore, and completed the medical residency at the University of Maryland Hospital in 1969. He completed a cardiology fellowship at the University of Maryland in 1971. He has been in the practice of private cardiology since 1971, working at Mercy Medical Center, where he served as the President of the Medical Staff. He also has served on the active medical staff at Maryland General Hospital, the University of Maryland Hospital, Good Samaritan Hospital, Union Memorial Hospital, Greater Baltimore Medical Center, and St. Joseph Hospital. He has given many lectures over the years and authored a book, The Textbook Study Guide of Cardiology, which many cardiologists used to help study for their cardiology board exam over the years. The book was later translated into Chinese. He currently is the Clinical Dean and President of Spartan Health Sciences University. He is a fellow of the American College of Cardiology. 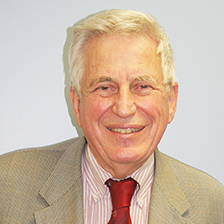 Dr, Grenzer has taught many medical students and medical residents since starting out in private practice in 1971 and has receive awards from his students as an outstanding teacher. He is board certified in both Internal Medicine and Cardiology.